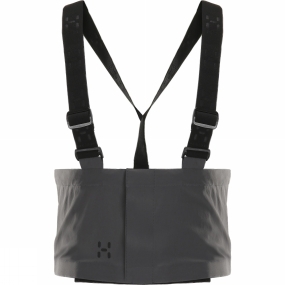 Haglofs' new Universal bib is a perfect companion piece to wear when you want to add extra support or protection for yHaglofs' torso, twinned with a regular pair of pants. It's unisex, easy to attach to yHaglofs' trousers and equipped with adjustable braces. It's also stretchy and breathable-made from bluesign® FlexAble™ fabric.